By December 31st, JFI Jet Center will cease business aviation servicing at Long Beach Airport, and turn its entire facility over to the Los Angeles County Sheriff's Department's aero unit. 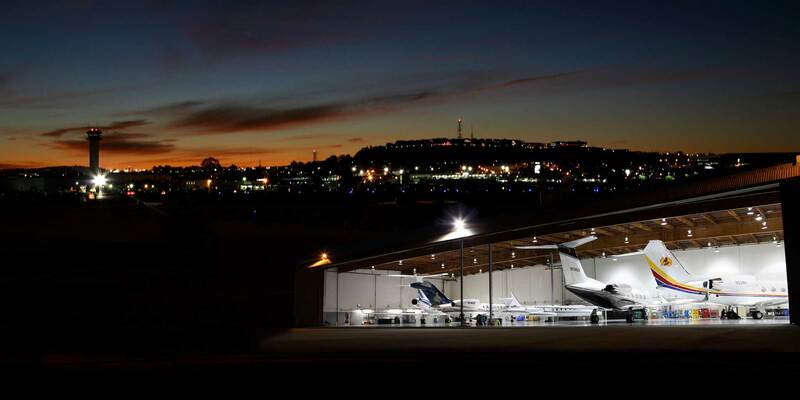 JFI Jet Center, one of three full-service FBOs at Los Angeles-area Long Beach Airport/Daugherty Field (LGB), will cease operations by the end of the year, according to parent company Alerion Aviation, which also provides aircraft charter and management services. Alerion has operated the facility, the only one on the commercial terminal side of the airport, since acquiring it a decade ago. It inherited a long-time tenant—Los Angeles County Sheriff’s Department’s aviation unit, whose fleet numbers 19 helicopters and two airplanes, only ﻿part of which were based at JFI. With the unit’s lease on another hangar set to expire, the county began inquiring about more space at the JFI facility. “Through the course of a couple of years of discussions, this thing morphed from an increase of space to store aircraft, to would we consider turning over the entire site to them,” company CEO Bob Seidel told AIN. He noted the decision was made easier for the company by the fact that several of its managed aircraft had moved from LGB to other area airports in recent years. Alerion itself will relocate to Van Nuys Airport, where it has leased hangar and office space, while still maintaining a presence in Long Beach. Seidel said the LGB facility is winding down its fueling arrangements, while other tenants relocate to other hangars. As part of the negotiations, Alerion was given a lease extension by﻿ the airport on the LGB property, out to 2038, so it can serve as landlord.